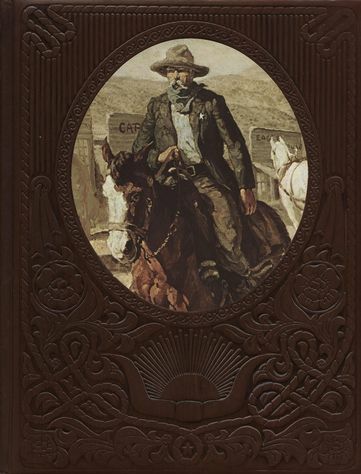 Time Life Books The Old West Series The Gunfighters is in near mint condition. There are two light scuff marks on the back cover. No rips or tears, no markings. Sewed and tight binding - spine. Book has "new" feel and sound. Faux leather tooled hard cover, contains 240 pages and is approx. 9" x 12". Summery: Describes in text and illustrations crime and criminals, brotherhood of the gun, buccaneers of the border states, law men, murderers, frontier justice vigilante style. History. Shipping included in the price.